regional center’s name from USA Continental Regional Center, LLC to Continental Regional Center, LLC. Center, LLC has been approved by USCIS. 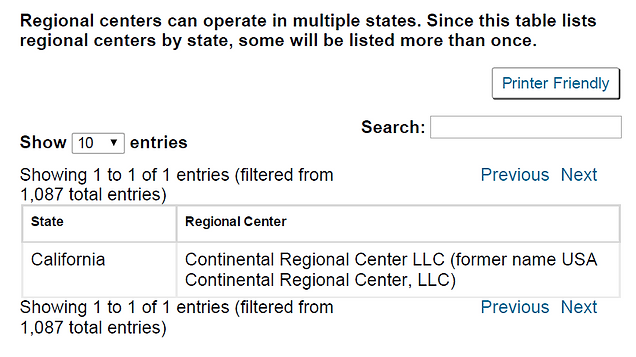 USCIS has updated their website to show the amended name to Continental Regional Center, LLC.